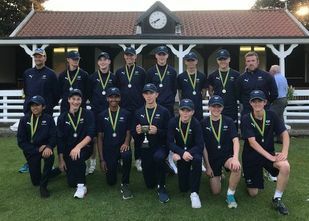 ​After a fantastic season, Yorkshire's Under 15's were crowned Royal London National A Division Winners for 2018. ​The team went undefeated in all eleven competitive fixtures they played, which included ten wins and one cancelation. ​The White Rose overcame Middlesex in the Semi Final and then managed to beat probably the toughest opponents of the season, Devon, in the final by only 22 runs. ​The victory was an incredibly proud moment as Coach, making it back to back wins in the National competition, as well as winning a T20 competition earlier in the season. 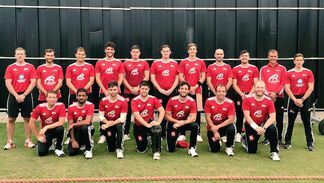 It was an absolute honour and a privilege to work as Assistant Coach for Gibraltar Cricket during their recent ICC World T20 Europe Qualifying campaign in Holland. ​Naturally for a country the size of Gibraltar with so little cricket facilities to call upon, it is difficult to compete with so many larger nations, but the squad played some outstanding cricket and got better as the tournament went on. Their solitary win against Czech Republic was a massive highlight and step forward for the nation. Ve al equipo Gibraltar! 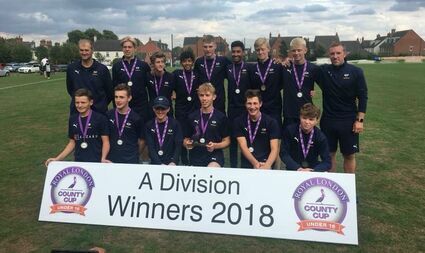 In a T20 Competition held at Worksop College and Cuckney CC which involved Nottinghamshire, Durham, Leicestershire, Derbyshire and Lincolnshire, Yorkshire U15's were victorious having successfully won all five matches played to lift the trophy. Rain threatened to put the tournament in jeopardy but five full matches were still possible over the two days and it was a fantastic effort from the whole squad with nineteen players representing the county over both days. The season bodes well for so many promising young cricketers from the county at Under 15 age level. The Yorkshire Under 15A team which is coached by Stuart Guy were recently crowned Royal London National A Champions at Kibworth CC, Leics. The White Rose won a nail biting Semi Final match against Surrey by three runs, and then came a more comfortable victory the following day over earlier group rivals Nottinghamshire, to be crowned National A Division winners.